Perhaps one of the most visible effects of exploratory drilling and operating wells is the arrival of oil slicks or weathered crude oil to the coast. The impact on the tourist industry of an oil spill in the exploration phase would be catastrophic, as seen with the Deepwater Horizon spill in 2010 or, in another order of magnitude, while drilling Montanazo Repsol wells – 5D and Bass 1 – in Tarragona. During exploration at sea, explosions have occurred regularly throughout the world and the depth of drilling has been increasing, imposing further risk. According to the data for risk assessment by the International Association of Oil and Gas, between 1970 and 2007 there were 498 explosions worldwide, 128 of which resulted in discharges and spills. The dangers of offshore drilling, even when scanning in shallow water, are not a secret. Between 2001 and 2010, for example, the U.S. Minerals Management Service reported 858 fires and explosions, 1,349 injuries and 69 deaths in rigs, in the Gulf of Mexico alone. Even in Norway, considered one of the most regulated environments for offshore drilling, there have been between 80 and 100 annual precursor events that could have led to an explosion. This corresponds to about one precursor event per facility per year. Moreover, in the month of June 2013, offshore mining (extracting) and drilling in Britain caused 55 oil spills in addition to other chemical waste dumps into the North Sea, calling into serious question the claims of the oil industry that is has a strong record of safety and environmental friendliness. 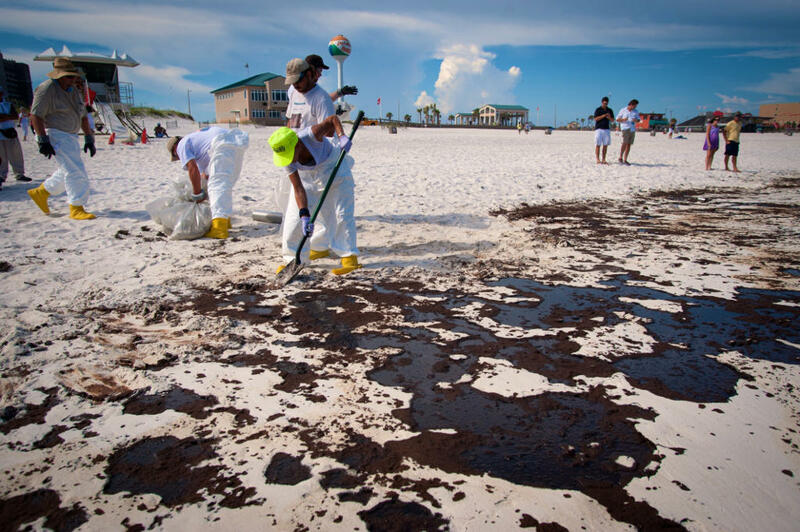 In the case of a catastrophic spill, the effects include closing beaches to the public and the oil in the seas evaporating and turning into particles that can enter the body of organisms through the respiratory tract or skin. Some Polycyclic Aromatic Hydrocarbons (PAH) are phototoxic so certain petroleum compounds can become much more toxic compounds after photo-oxidation. We must also not forget that once burned in cars, trucks and aircraft, oil becomes the major cause of climate change in Spain. The impacts of climate change are another major threat to the Balearic coast – the latest data predicts a rise of 20 centimetres in the Balearic coast sea levels, which will mean 15 metres of receding shoreline by 2050. Similarly, the last report of the Intergovernmental Panel on Climate Change (IPCC) predicts increased droughts, hurricanes and major storms for the Balearic archipelago. These forecasts should make us reflect on the need to leave fossil fuels in favor of renewable energy, energy saving and efficiency.